This neighborhood is called West Town. 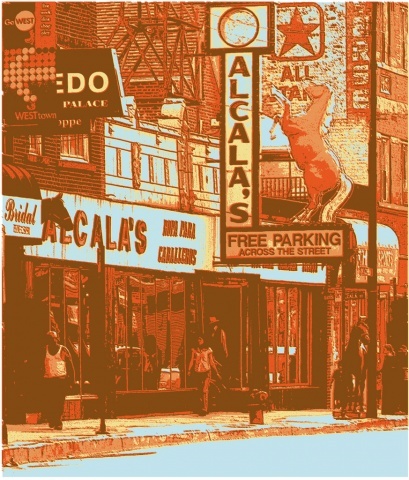 Coincidentally there's this Western apparel store called "Alcala's" that's very well known in Chicago. The promotional line that this community has been using is, you guessed it, "Go West".